Lent has always been a time for reflection, a time to check out if we are really living as followers of Jesus. Lenten Journey is based on the Lectionary readings for the Sundays of Lent from the Gospel of St Luke, the evangelist who built his Gospel around the theme of 'journeys'. 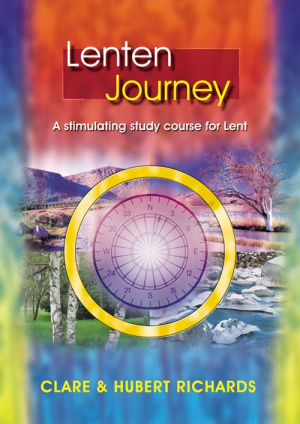 Lenten Journey is suitable for use by individuals, groups in parishes or teachers for school assemblies. The five weekly sections include the Gospel text for the Sunday, a commentary on the reading, further reflections, questions for discussion, suggestions for action, and a prayer. Lenten Journey by Clare & Hubert Richards was published by Kevin Mayhew in November 2000 and is our 22030th best seller. The ISBN for Lenten Journey is 9781840036541. Be the first to review Lenten Journey! Got a question? No problem! Just click here to ask us about Lenten Journey.